The CaraMunich line of specialty grains (I, II, and III) from Weyermann provides homebrewers with a wonderful range of steepable malt options for a wide range of beers. You can expect these grains to contribute very similar characters but of a varying intensity depending on the Lovibond (color) that you choose. Generally, a higher Lovibond will correspond with a more intense character. CaraMunich will definitely beef up the malt character in your beer while contributing some caramel notes as well as hints of dark fruit and a light biscuity character. 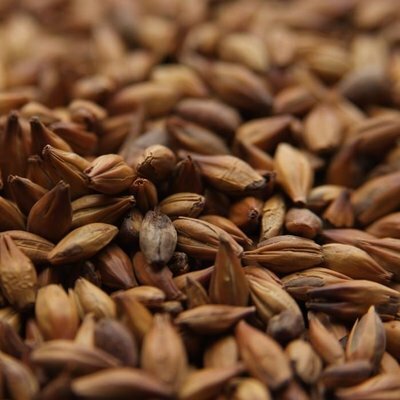 This grain makes an excellent addition to darker styles as it helps promote a full and nuanced malt character. Use at 1-5% of your grist for a lighter beer and up to 5-10% for darker styles.